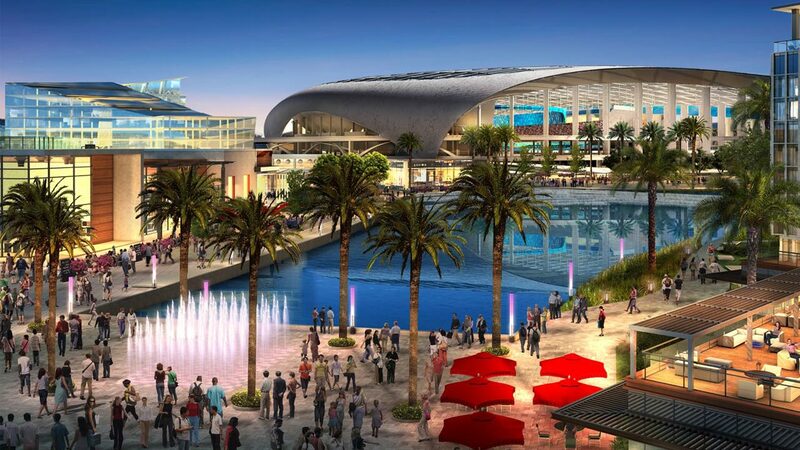 NFL owners approved a stadium proposal in Inglewood and the return of the Rams to Los Angeles on Tuesday, Jan. 12, 2016. CARSON, Calif. -- NFL owners have approved a proposed Inglewood stadium, opening the door for the St. Louis Rams to return back to Los Angeles for the first time since 1994. Earlier on Tuesday, the six-member NFL relocation committee recommended the joint bid between the Oakland Raiders and San Diego Chargers to build a $1.7 billion stadium in Carson. However, NFL owners voted 30-2 in favor of the Inglewood stadium project. Now the Chargers have the option to join the Rams in Inglewood or remain in San Diego. The Raiders withdrew from relocating to LA and will remain in the Bay area. NFL Commissioner Roger Goodell will announce the final decision made by the owners. Disney CEO Bob Iger presented the case for the Carson stadium project on behalf of the Chargers, Raiders and Raiders owner Mark Davis Tuesday morning. Disney CEO Bob Iger dismissed reports Tuesday that the San Diego Chargers and St. Louis Rams could share a joint facility in Inglewood. St. Louis Rams owner Stan Kroenke has been vying to build a stadium on land he owns in Inglewood, on the site of the old Hollywood Park. Disney is the parent company of ABC7NY.